BackJoy Blog | Guardian Recognizes BackJoy! 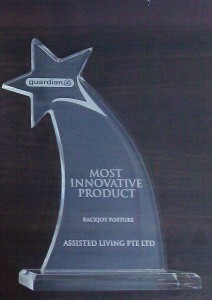 BackJoy was awarded the Guardian award for the most innovative product. The award goes to those companies who have created products that have made the push to better health and wellness. Congrats BackJoy!